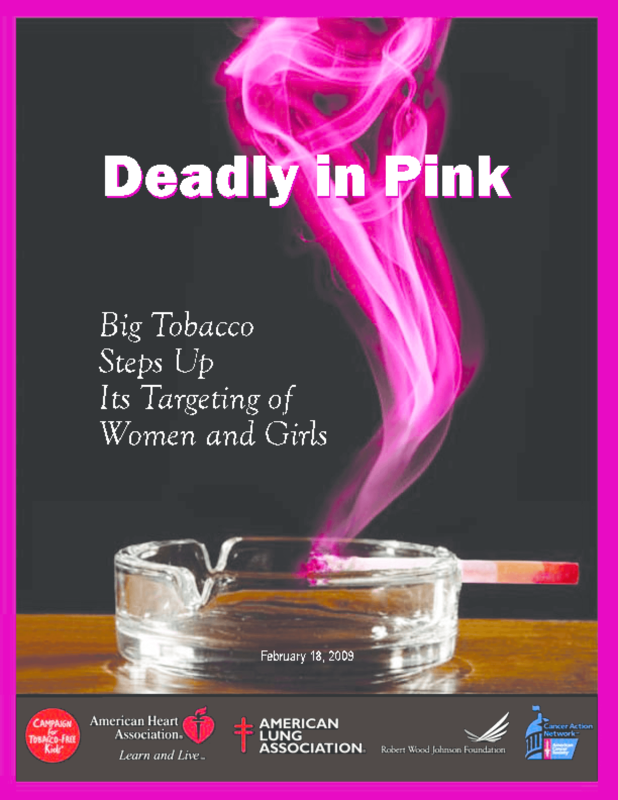 Outlines the tobacco industry's marketing campaigns targeting women and girls, with examples of advertisements and the effects on women's health. Calls for passage of legislation to grant the Food and Drug Administration authority over tobacco products. Copyright 2009 Campaign for Tobacco-Free Kids.